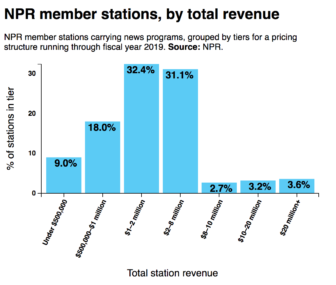 The NPR board of directors approved Friday a three-year plan for increasing station fees, supporting a new strategy to strengthen collaboration between the network and its member stations on journalism, fundraising and digital platforms and infrastructure. The plan calls for flat annual increases in station membership dues and fees for news shows and digital services. The increases will be scaled to seven tiers based on station revenue, with the largest stations earning more than $20 million in annual revenue slated for a 4.25 percent increase each year. Meanwhile, stations with less than $500,000 in total annual revenue will see no increases. All stations will see an annual 3.5 percent increase in the cost of NPR’s non-news shows. NPR estimates that its total income from stations under this model will increase 3.5 percent annually, according to COO Loren Mayor, who discussed the plan with Current this week. NPR initially considered other pricing models, including one based on percentages of total revenue, according to Mayor. But the network recommended the model that won approval because it is “relatively simple” and predictable, Mayor said. NPR is anticipating that it will rely less on station income in coming years, according to executives. This fiscal year, 40 percent of NPR’s more than $200 million in revenue came from station fees and dues. 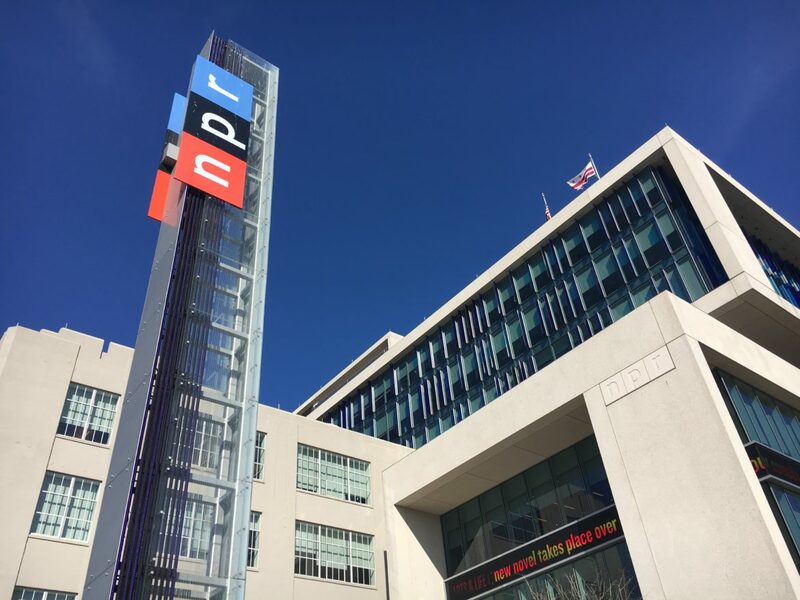 By fiscal year 2025, NPR projects that station fees will account for 32 percent of its income, with growth in donations, grants and corporate sponsorship helping to boost total revenue to over $300 million. Fostering work on digital projects among member stations. In its digital work, NPR aims to develop a stronger “local-national digital backbone,” said Chief Digital Officer Thomas Hjelm. The network will also review its offerings to stations through NPR Digital Services. Hjelm said NPR is also looking into developing a “digital cooperative,” in which stations could share digital infrastructure and innovations, reducing duplication of work throughout the system. Hjelm added that the digital team will look at more ways to increase station presence on NPR.org. There are concerns among member stations that “the investment that NPR is making on the digital front be something that benefits stations as well as NPR,” said board member Joyce Slocum, CEO of Texas Public Radio in San Antonio, during Thursday’s board meeting. Slocum added that she had also heard concerns “about making sure that Digital Services didn’t discontinue services” that stations rely on. All of these efforts will be supported by continuing joint approaches with stations to cultivate major gifts for both the network and members, said Chief Development Officer Stephanie Witte. Collaborations with stations so far have been “fruitful,” Witte said. Current Associate Editor April Simpson and Digital Editor Mike Janssen contributed to this article.